http://www.bbc.co.uk/doctorwho The Doctor takes a break on Earth, despondent that he can't find Clara. 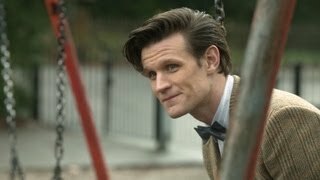 Home » The Bells Of Saint John A Prequel Doctor Who ... John A Prequel Doctor Who Series 7 Part 2 2013 Bbc ... A Prequel Doctor Who Series 7 Part 2 2013 Bbc One. Press play below for the “Prequel” to “The Bells of Saint John,” Doctor Who ... to the one thing that the Doctor finds ... on ITUNES for Season 7 Part 2. Reply. Series 7 Part 2 Special - "The Bells of Saint John: A Prequel"
23-3-2013 · The Bells of Saint John: A Prequel – Doctor Who ... Doctor Who - Series 1: Dalek - BBC ... Doctor Who Season 7, Part 2 Premiere Details.